Sepsis - a modern day plague - The truth about food and medicines. Sepsis kills about 1,400 people a day worldwide. Despite intense research, the death rate remains high; between 30 and 50 per cent. These are shocking statistics, especially when a treatment for this disease with an impressive success rate has been known for many decades. Sepsis is a serious complication of septicaemia when inflammation occurs throughout the body. As so often happens in the realm of medicine, when a great discovery is made doctors and scientists are suspicious and are quick to dismiss any new theory as quackery. 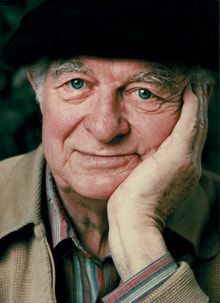 This is exactly what happened to Dr Linus Pauling (1901 - 1994), when he advocated the use of high doses of vitamin C (in the form of ascorbic acid) to treat many diseases including sepsis. Despite having twice been awarded the Nobel Prize, by the time of his death in 1994, the medical establishment had branded Pauling a quack. Now, it has been proved that he was right all the time and his work has been widely acclaimed. Medical procrastination has a tragic history. Even Louis Pasteur was ridiculed by the medical establishment of the time when he showed that airborne microbes were the cause of disease. Pasteur was vilified in public, but rather than give up he determined to fight for that in which he so strongly believed. When James Lind discovered how to cure scurvy, it took more than 40 years for the British Admiralty to adopt Lind’s simple prophylactic daily dose of one ounce of lemon juice per man. By the time the official order finally came through, the delay had cost the Royal Navy an estimated 100,000 lives to scurvy which was totally avoidable. We MUST NOT let this sort of thing happen again. Medical investigators had found, way back in the 1930’s, that vitamin C had great curative qualities, but they could only think of it as a vitamin and as such used very low dosage levels and this has impeded research. Some 55 to 60 million years ago a mutation occurred in one of our ancestral primitive monkeys which destroyed its ability to manufacture the last enzyme in a series, thus preventing its liver from converting L-gulonolactone oxidase into vitamin C. While the mutated animal lived in forests with plenty of vegetation it got enough vitamin C from its food. To this day all descendants from this primitive animal, including man, have the intermediate enzymes but lack the last one. Every creature, when it is sick, greatly increases the production of vitamin C, but humans, primates and guinea pigs have lost that ability, so, when a patient is given vitamin C intravenously it has the effect of recreating the liver’s ability to synthesize large amounts of this essential vitamin. 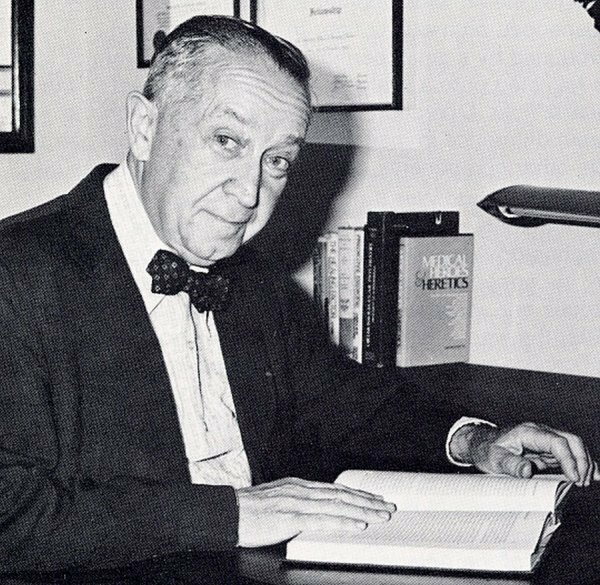 One of the few who did recognize the importance of large doses of ascorbic acid was Dr. Frederick Klenner. 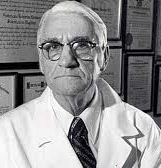 In the 1940’s and early 1950’s he pioneered the idea that it was the size of the dose and the frequency of administration that was the key to successfully treating and curing diseases. 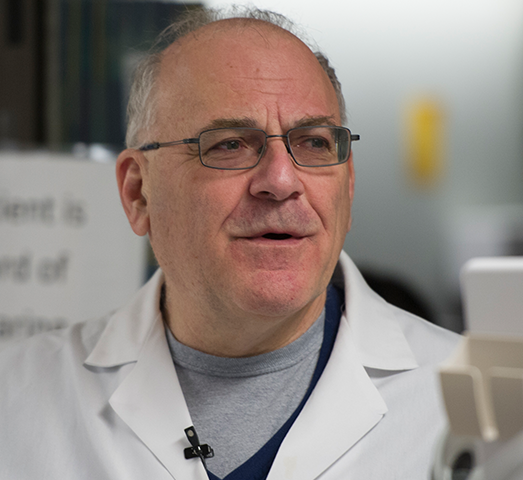 Paul Marik, MBBCh, professor of internal medicine and chief critical care medicine at the Medical School, already knew that sepsis patients often have levels of vitamin C so low as to be undetectable. He and his colleagues compared the outcomes and clinical course for 47 consecutive sepsis or septic shock patients treated normally with the addition of intravenous vitamin C, hydrocortisone and thiamine over a seven-month period, and a control group of 47 patients with similar characteristics who were treated in the intensive care unit in the seven months prior. The control group did not receive the vitamin C- hydrocortisone-thiamine cocktail. Dr.Marik described how‘patients in the treatment group received 1.5 g IV vitamin C every six hours, 50 mg hydrocortisone IV push every six hours for four days, and 200 mg intravenous thiamine every 12 hours for four days. This cocktail was given as an adjunct to usual care for sepsis in the intensive care unit. Both groups received broad-spectrum antibiotics, which were reduced over time according to microbiological and clinical progress’. The startling results showed that only four (8.5%) patients in the treatment group died in the hospital compared with 19 (40.4%) of those in the control population. The sequential organ failure assessment (SOFA) decreased in all patients in the treatment group with none developing progressive organ failure. He went on to explain ‘Animals make vitamin C, but humans don't. When animals are stressed, their vitamin C levels increase to fight off infection. When humans become infected, their levels of vitamin C become undetectable. The only way to raise them is to give the vitamin intravenously’. Today, at last, some progress is being made, but not nearly enough. With the recent surge of often fatal cases of sepsis, hide-bound members of the medical profession are being forced to listen to these pioneering doctors who, by using IV (intra-venous) ascorbic acid, have been able to save lives where conventional treatments have failed. There hardly needs to be more proof of ascorbic acid’s remarkable powers but when will the medical profession, as a whole, acknowledge this and put an obviously life saving method of treatment into common practice? Dr.Marik is quoted as saying ‘the sepsis deaths in this country (USA) are equivalent to 3 jumbo jets crashing every single day. EVERY SINGLE DAY!"